This Captain America playset includes 4 Marvel Universe minifigures: Captain America and 3 Outriders. • Captain America’s bike features a minifigure cockpit, 2 Captain America shield shooters, front wheel with detachable non-shooting blasters, attachment points for minifigures, fold-down bike stand, headlight element and an exhaust flame element. 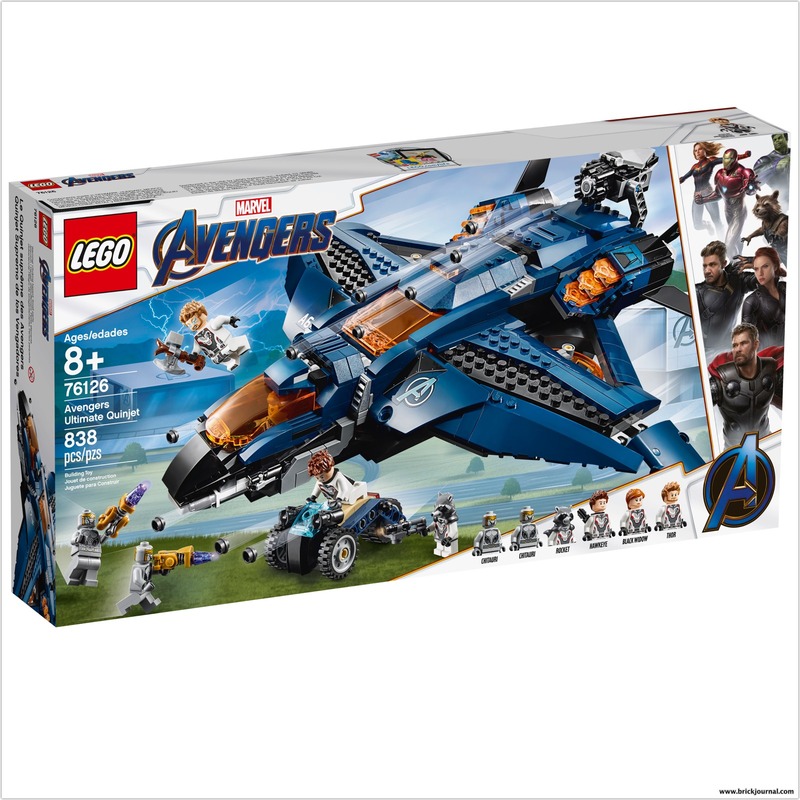 Recreate thrilling action from the Marvel Avengers movies with this awesome LEGO® construction toy. • Captain America’s vehicle measures over 2” (7cm) high, 8” (21cm) long and 2” (7cm) wide. Helicopter features an opening minifigure cockpit, 2 spinning, tilting rotors and a 6-stud rapid shooter. • Offroader features a minifigure cockpit and rotating turret with dual stud shooter and standing room for a minifigure. • Weapons include Nebula’s sword and Thanos’s buildable, double-sided battle axe. ← LEGO Reveals Summer LEGO Batman Sets for Batman’s 80th Anniversary!